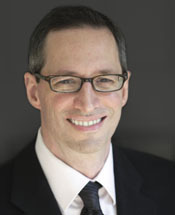 Stephen Trilling is senior vice president and general manager of Symantec’s Security Analytics and Research division. In this role, Trilling leads the company’s Security Technology and Response (STAR) organization, Symantec Research Labs (SRL), and Shared Engineering Services (SES). Trilling was the original founder of all three organizations at Symantec. STAR delivers the company’s industry-leading threat protection technologies, advanced security analytics, and investigations into new targeted attacks; SRL is Symantec’s advanced research division; and the Shared Engineering Services organization includes product security, product localization and internationalization, and engineering development tools. Trilling has led the development and delivery of numerous innovative protection technologies for the company, including Symantec’s transformational “Insight” reputation-based technology, which was awarded the Wall Street Journal Technology Innovation Award, as well as the company’s big data security analytics platform that today holds trillions of rows of telemetry. Mr. Trilling has also represented Symantec on many national television and radio programs, including “60 Minutes”, “Good Morning America”, and “The Today Show”, and has testified before the United States Congress. In addition, he is a member of the Dean’s Corporate Advisory Board for the UCLA Henry Samueli School of Engineering and Applied Science. Trilling holds a B.S. in Computer Science and Mathematics from Yale University and an M.S. in Computer Science from the Massachusetts Institute of Technology.